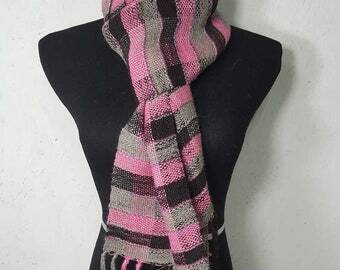 This beautiful scarf is knit using USA Grown alpaca 80% along with nylon for added durability and strength in 20%. 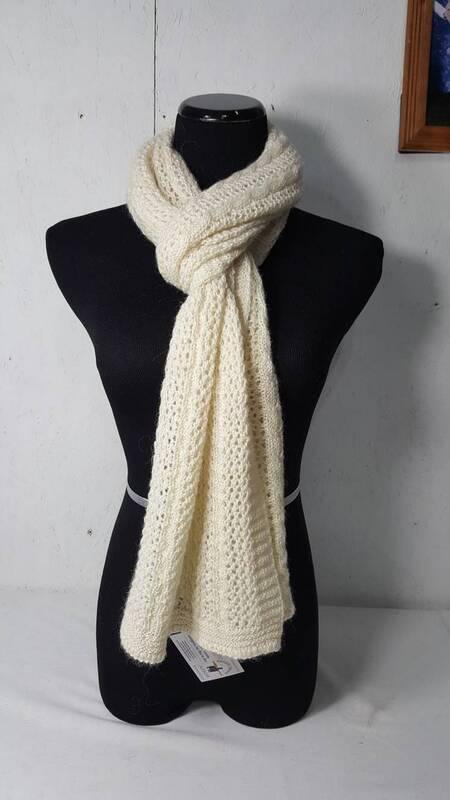 This is in natural white fiber grown on the alpaca that are sheared yearly with no harm to the animal. 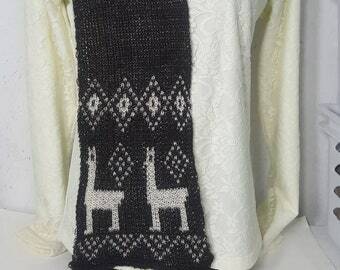 This scarf feels so nice against the skin with the luxury warmth of alpaca. They are washed in unicorn fiber wash and rinse and ready to go. 9" x 73" with a very nice knit texture. Long enough to wear multiple ways. 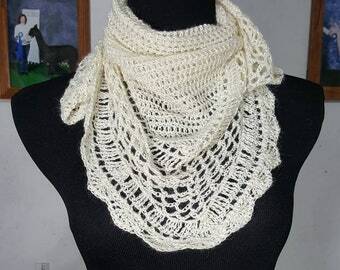 "This is the second lace scarf I have purchased from Connie and it is just as beautiful as the first. I ordered it late on Wednesday and it arrived on Saturday. It doesn't get much better than that!" 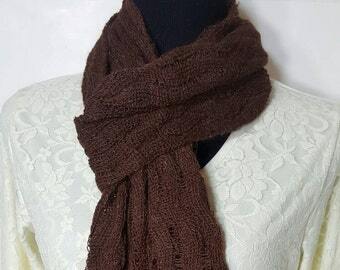 "This is a lovely scarf, great material and craftsmanship, fast shipping and really wonderful customer service. And the picture of the alpacas melts the heart! It's very gratifying to support a small business that treats its animals and crafts with such love. I will be back." "GORGEOUS!! 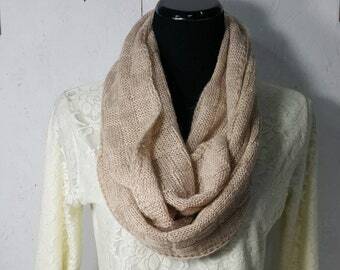 This scarf is even more beautiful than I imagined. 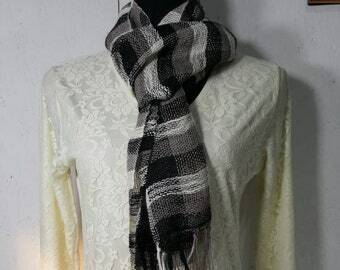 With such a delicate design, I am surprised at how strong this scarf is. 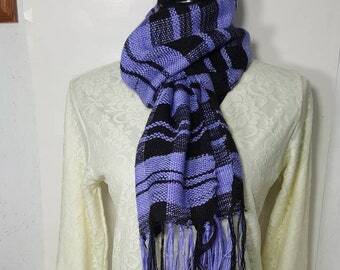 My sister (who will be receiving this as a valentine/birthday gift) will be able to wear and enjoy this heirloom quality scarf for many years to come. 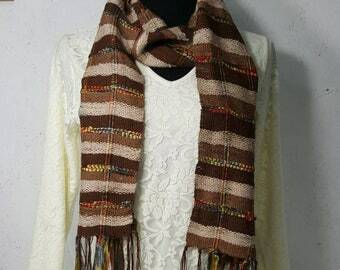 I am thrilled beyond belief, and will be ordering more scarves for gifts in the future. 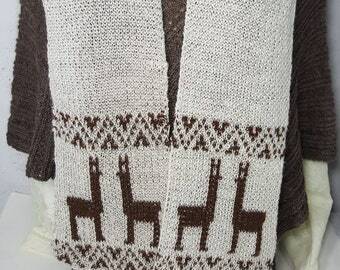 Thanks to you and your beloved alpacas! And thank you so much for the warp-speed shipping as well. 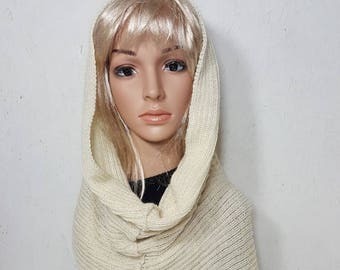 My gosh, your Etsy store is a real find!" 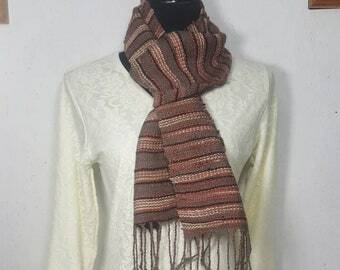 "I received my beautiful scarf today. The photos do not do it justice! Thank you Sonic for contributing your lovely fleece, and thank you Connie for creating such a gorgeous piece. I absolutely love it."